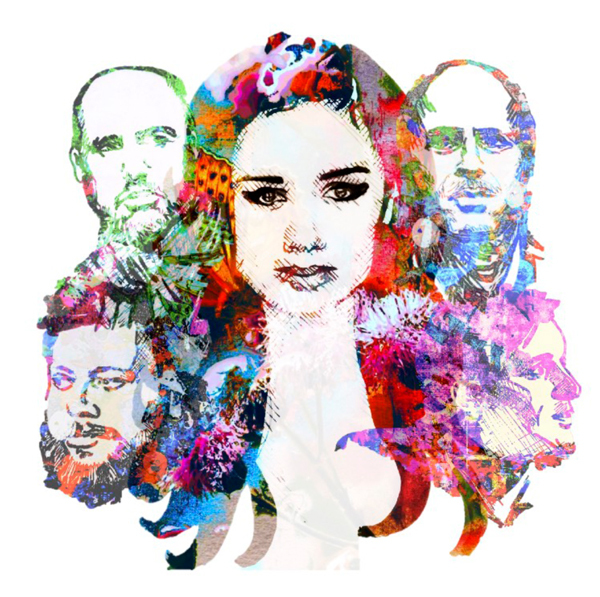 Alinta and the Jazz Emperors preside over a soulful empire of jazz built on an infectious sense of humour and extended joyinfused improvisation. We’re talking five very fine musicians in a band that is always more than the sum of its parts. Alinta Chidzey is a charismatic jazz vocalist/songwriter who is also a firm fixture on Australia's musical stage (West Side Story, Hugh Jackman’s - Broadway to Oz , Hook Turn Orchestra). Tenor saxophonist and band leader Remco Keijzer (Metropole Orchestra, North Sea Jazz Festival) has been leading his original bands through Europe, Australia, and the US for 15 years, playing an array of jazz, hip hop, and nowadays mostly original compositions. With an exciting range of original songs and rearranged standards, Alinta and The Jazz Emperors bring their fiery improvisations and infectious grooves to their audiences. The Jazz Emperors' rule is rounded out with the superb Sam Keevers on piano, and rhythm section starring Philip Rex on Double Bass, and Darryn Farugia on drums (Tom Jones, B.B King).